There’s one thing, I never leave home without: my Trenery shopper. In it are a few treasured personal items – my wallet, my cellphone, my Marc Jacobs heart-shaped mirror, a pen and my Moleskine. I never leave home, EVER, without a pen and my Moleskine. For those of you wondering why the hell I haven’t been blogging in the last month, I offer you my humble apologies. I’ve recently packed up my life in a big, baby blue luggage bag and moved to London in search of inspiration. Basically, I needed a new start – and London felt like a good fit. So the last month, needless to say, has been crazy hectic.But now that I’m settled and have wireless in my new Wimbledon apartment, I assure you I’ll be blogging a lot more. But alas, now that I’ve gone completely off the topic, let’s get back to the Moleskine. 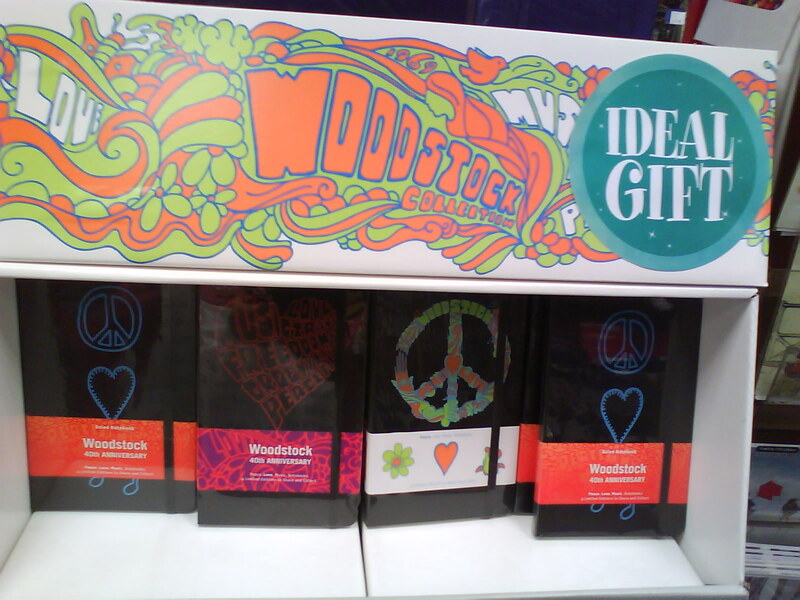 In celebration of Woodstock being around for 40 years, Moleskine have launched a limited edition set of notebooks. They’re beautiful, eye-catching and come in four different designs – each more pop-locking than the next. You’ll want them all, so save up and skip this month’s DVD box set purchase. Buying this collection will make people think you’re a cultural intellectual. And everyone likes to feel smart.